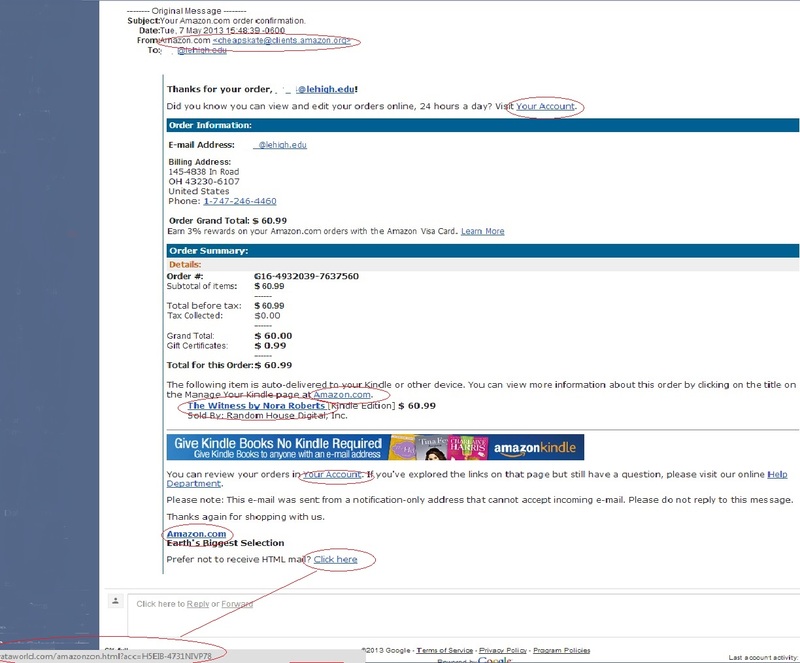 This email appears to come from Amazon, but note the email address is not amazon.com, but rather amazon.org. The links all point to code on the myataworld.com domain. This email should be regarded as a phishing attack with intent to infect your computer and obtain data. Do not click any links and delete it immediately.